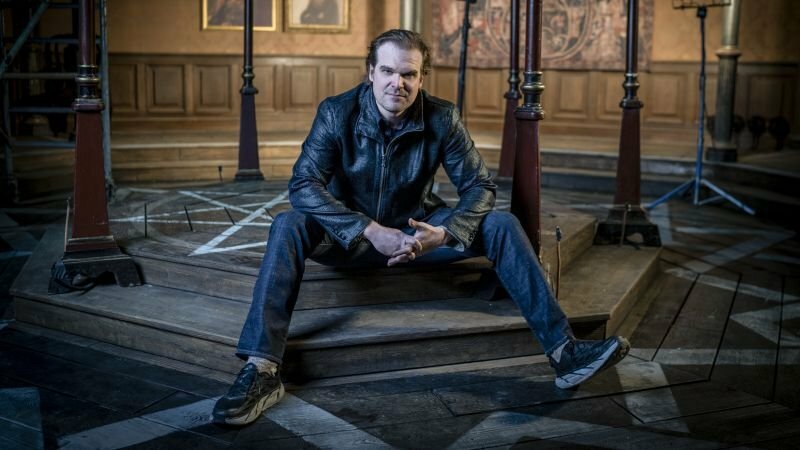 As some may know, I am a big Hellboy fan – to the point that David Harbour previously agreed to officiate my wedding in the full make-up (before his schedule made it impossible). In November of 2017, when Harbour was still filming the movie, myself and a group of journalists flew to Bulgaria to see the set and interview the cast. While there, I managed to do something that I didn’t set out to do, I taught the star of the movie something about the character he was playing; at least something from the comics. This led to one of Harbour’s specific areas of interest about Hellboy. Naturally, as a fan that has devoured every book in the realm of the Hellboy universe, who kept his ears open for any sort of clue he could find on the set, this signaled a red alert in my head. “It’s in the books,” I said. Surprised, Harbour started asking me questions. In truth, Hellboy starts sawing off his horns after he tries putting on the air force cap worn by one of the men on the base where he was raised. The cap doesn’t fit on his head and gets squished between his horns, causing the airman to laugh, and embarrassing Hellboy to the point that he steals a saw and slices off his horns. It’s a sad moment for a young half-Demon. I can’t fault Harbour for not knowing; the event he wanted to know about happens in a book that’s not even explicitly about Hellboy. He plays a minor part in it, basically the C-story which just fills in holes about his life as a young boy. 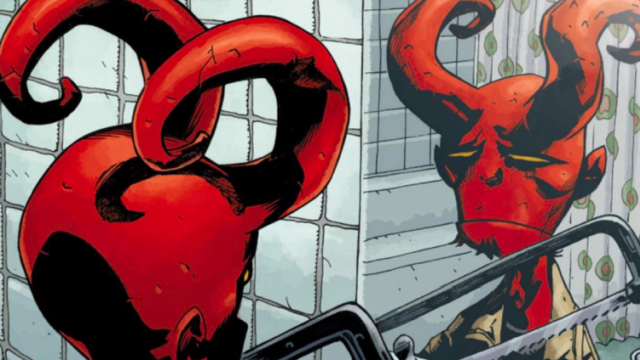 Plus, the film will primarily focus on grown Hellboy, of which there is a variety of stories and comics to pull from. 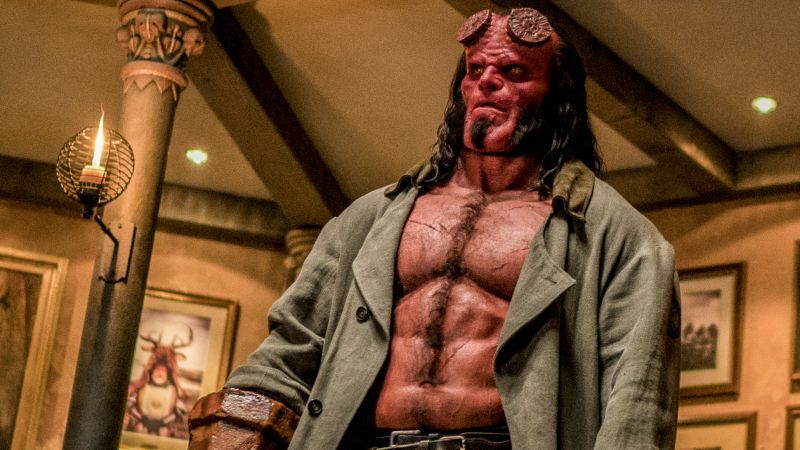 I’ve done countless set visits for cool movies, things like Guardians of the Galaxy, War for the Planet of the Apes, Avengers: Infinity War, Shazam!, but truthfully Hellboy was the most special. Hellboy is a character that means the world to me. He’s defined by following his own path and rejecting the thing that everyone told him he was supposed to do. That’s not even accounting for the genius writing and art throughout all the stories, and the variety of other characters there. There’s also the above, that 30 seconds where the interview format dissolved and David Harbour found a person that he could learn something from. It was a surreal moment for me as a fan; not in a Comic Book Guy from The Simpsons, “I can’t believe he didn’t know about this one moment from this one book” kind of way, but in a “The guy that is literally playing my favorite character in a movie is asking ME questions about the character” way. I won’t presuppose that this moment had any change on Harbour’s ideas for the character, but it was meaningful to me. If it led to him picking up yet another comic book for research, that’s all any fan could want, sharing the wealth of the thing they love. David, if you have any more specific questions, you know where to find me. 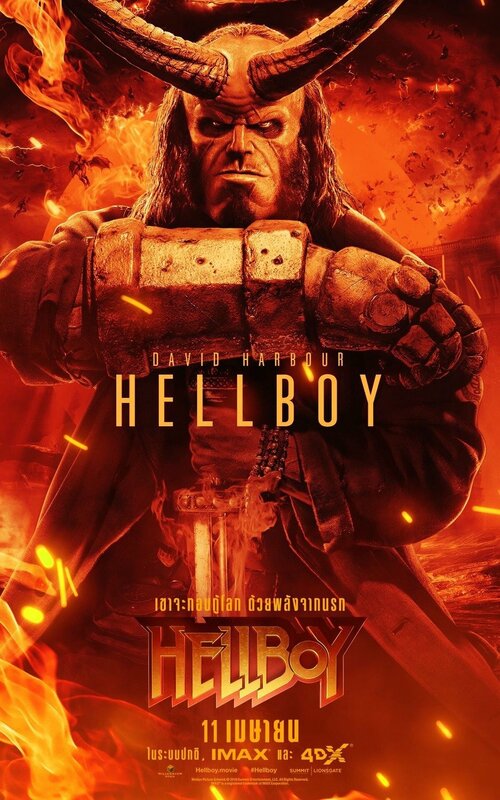 Hellboy opens in theaters on April 12, you can buy tickets by clicking here!